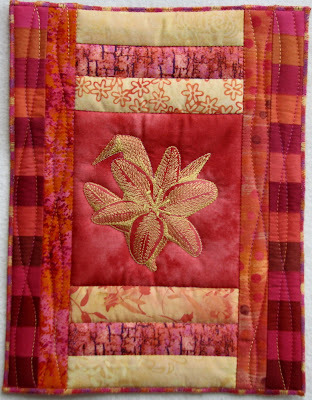 I am determined to post my 2011 Challenge Journal Quilts on Friday each week. 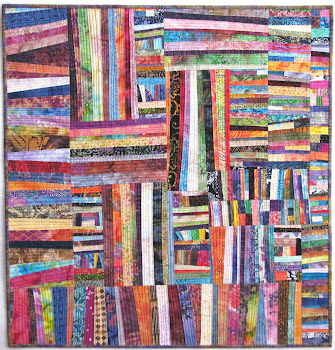 This is made from leftovers from 2 quilts here and here. Very pretty, Wanda! Good one! 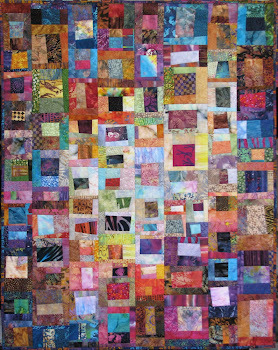 Again, your quilts are beautiful. You're an artist. Thank you for providing links to those posts. Oh, how stunning! I love it -- the embroidery is fantastic, the colours are ones I love! That is a sweet little quilt. What a gold mine you have in your leftovers. This is just perfect. I love this journal cover! The colors are so vibrant and the design is beautiful. This is my favorite so far. 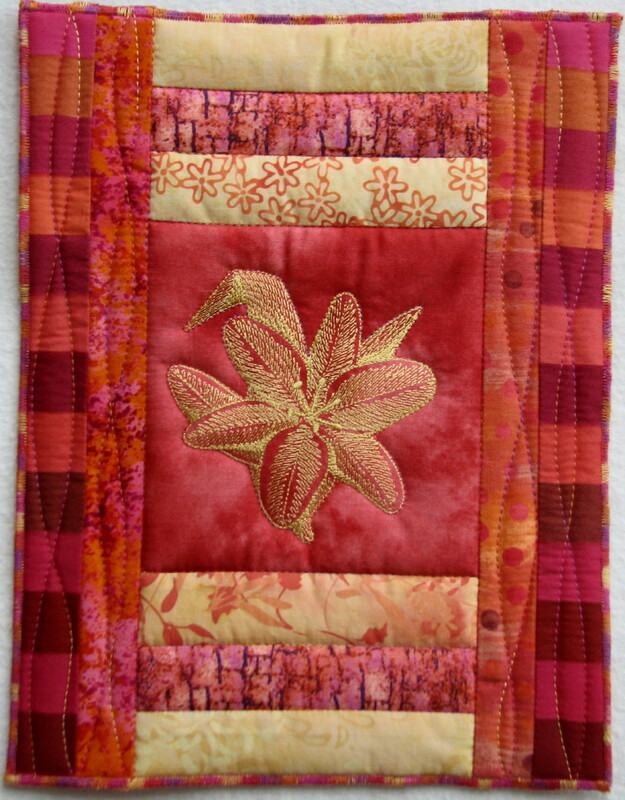 I love your journal quilt! I can't seem to do mine on time. I think I will do one every other week. Love those colours! I think it's a winner! Love those colors! What a sweet little quilt! I love the two parent quilts - don't know how I missed them. I thought I'd been to all your blog. And the baby is wonderful... love the embroidery. This is a beautiful journal cover. Thanks for sharing. Oh, Wanda. Your journal cover is just gorgeous! And the trips around the world are wonderful eye candy. Thanks.